Do you know what’s in your concrete? 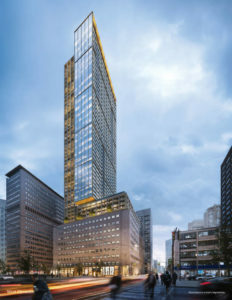 The United Building in Toronto will be the tallest architectural heritage retention development in North America. 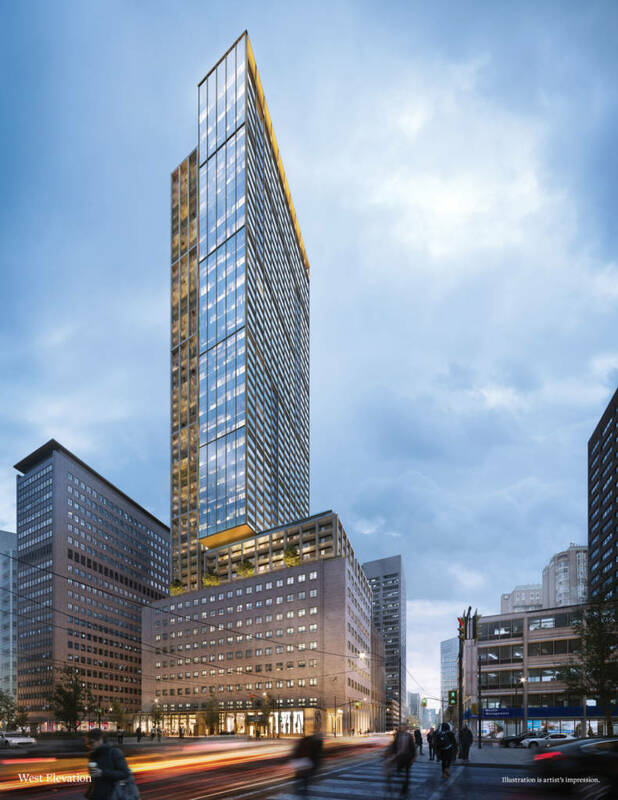 The historic building will evolve to a 55-storey high-rise, which will highlight the restored heritage structure of the Maclean Publishing Company/Maclean-Hunter Building. During the 20th century, Maclean-Hunter grew to become the largest Canadian publisher of trade journals and the home to flagship Maclean’s Magazine, Chatelaine, and the Financial Post newspaper. The United Building includes 20,833 m2 (224,245 sf) of commercial office space, and 3653 m2 (39,320 sf) of retail space up to the 10th floor where the 759-residential units begin. The front door of the building leads to the office and retail spaces. The residential condominium will include a separate entrance offering direct access to public transit from inside the building. The United design team includes B+H Architects as prime consultant and design architects, heritage consultants ERA Architects, and Tomas Pearce Interior Design Consulting.